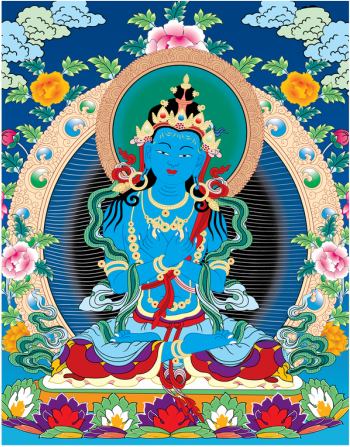 In this module, we will learn what Buddhist tantra is, how it works, and some of the main elements of tantric practice. We will get a broad overview of the four classes of tantra, learn how to practice simple tantric methods, and discuss how to integrate the practices of tantra with lam-rim meditation for optimal results. What is the basis for practicing tantra, and why is this important? What are the essential differences between the sutra and the tantra paths to enlightenment? What are the three bodies of a buddha? What is a “deity” in the context of tantric practice? "According to Buddhist teachings, no matter how confused or afflicted we may be at the moment, the underlying and essential nature of our being is clear and pure....And the ultimate purpose of all spiritual practices...is to uncover and make contact with this essentially pure nature." Tantric practice is a particularly powerful way to do this. Registration at the Door: $15 per class or $65 for the entire course (five classes) if paid in full on the first day of class. Members of a certain level get courses for free (see the membership program for details).